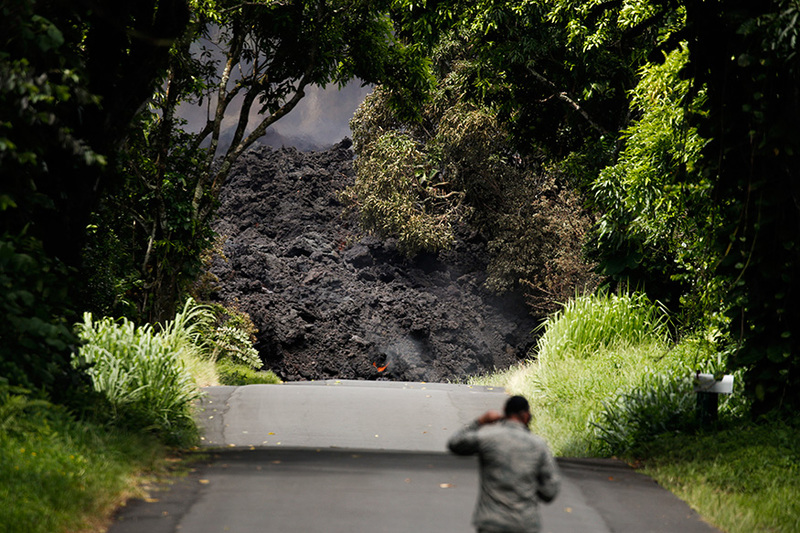 Resulting white plumes of acid and extremely fine shards of glass in the sky over Hawaii. 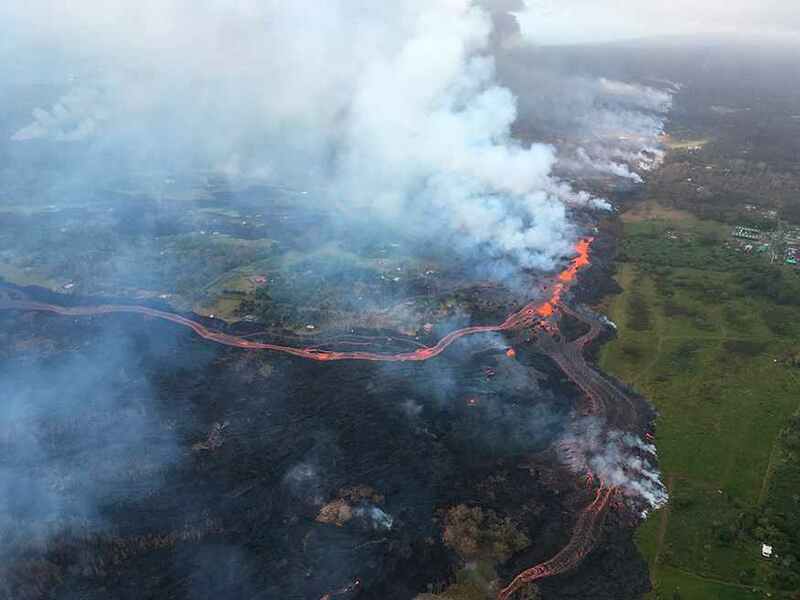 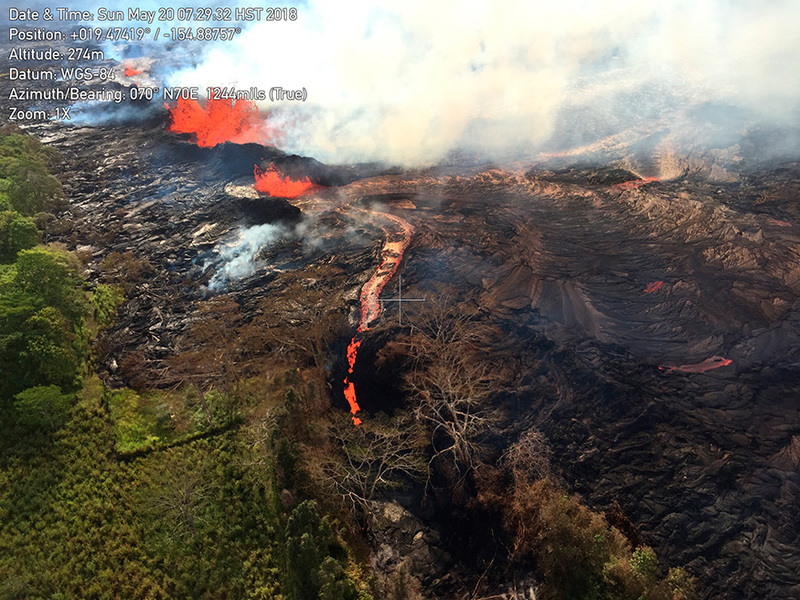 Further upslope, lava continued to gush out of large cracks in the ground that formed in residential neighborhoods in a rural part of the Big Island. 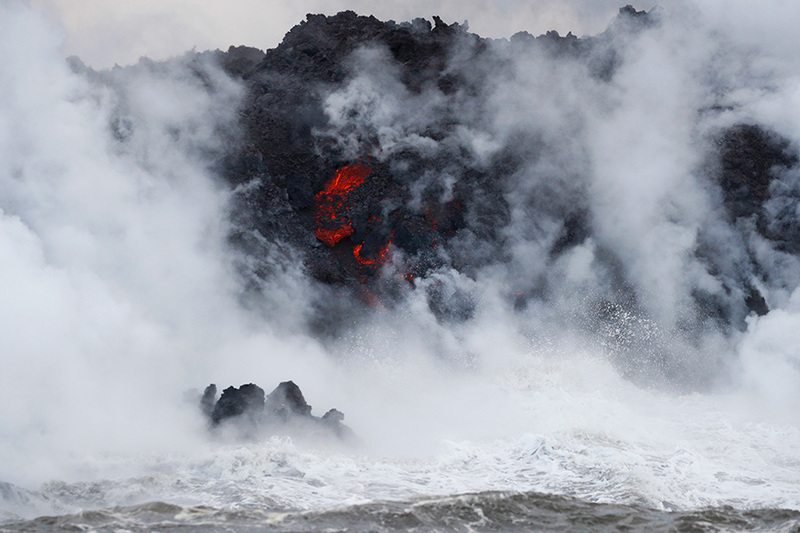 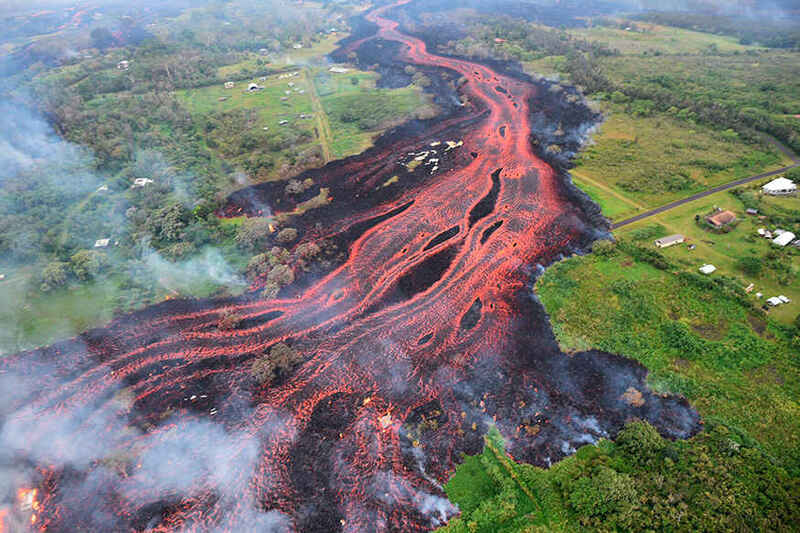 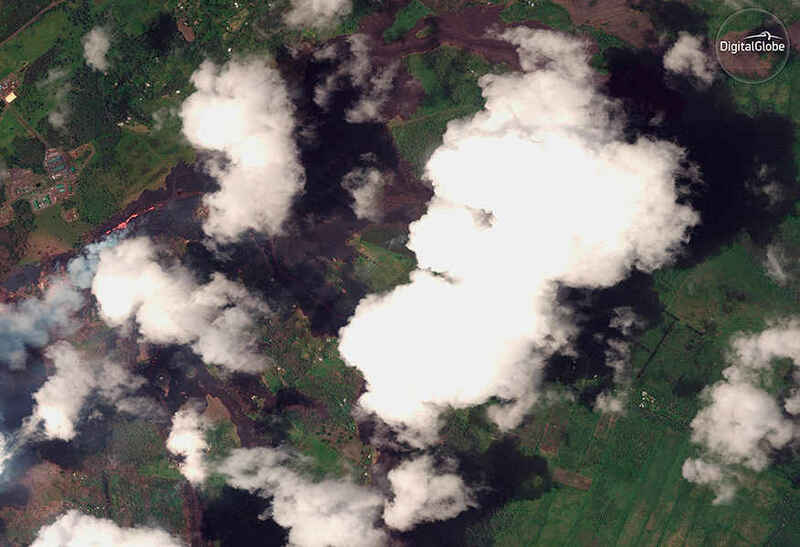 The molten rock formed rivers that bisected forests and farms as it meandered toward the coast. 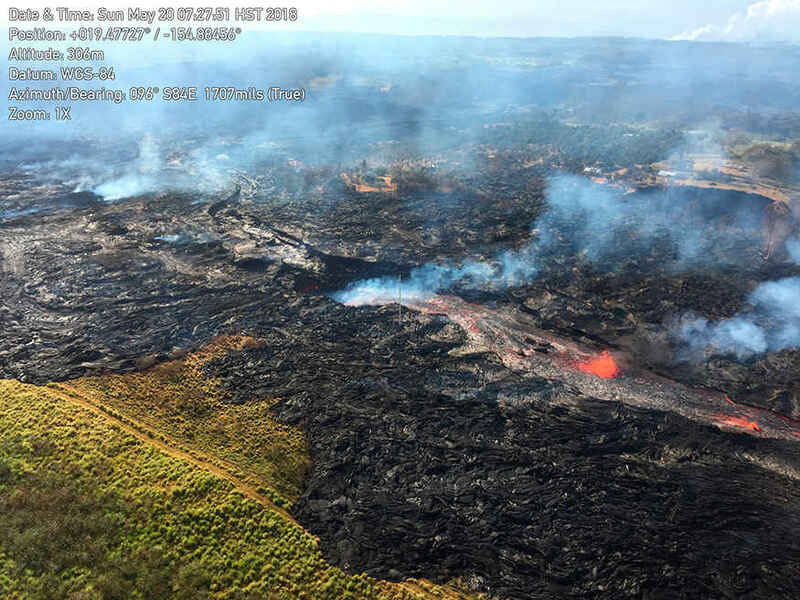 The rate of sulfur dioxide gas shooting from the ground fissures tripled, leading Hawaii County to repeat warnings about air quality.